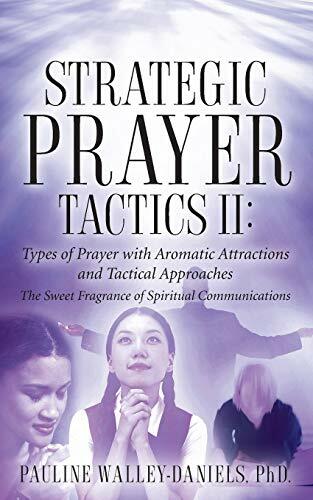 This book, Strategic Prayer Tactics II, with focus on types of prayer, teaches you how to approach the throne of God with joy and celebration of love as well as the strategies to adopt for presentation. It also teaches you to pray with Scripture as your legal authority. Read it and you will be blessed as never before. Dr. Pauline Walley is an ordained Prophet-evangelist who teaches the Word of God with dramatic demonstrations. She is anointed by the Holy Spirit to teach the Gospel of Healing and Deliverance, and to impart the message of love and joy to the people. Dr. Pauline travels to various parts of the world, ministering in churches, crusades, revivals and seminars in various academic institutions, as well as speaking to professional bodies. She is also talented in writing, drama, poetry and composing songs. Some of her musical works are also on record. She is also the author of fourteen other books. Dr. Pauline is the President of Pauline Walley Evangelistic Ministries and Christian Communications well as the Director of the School of Intensive Training for Leadership Equipment that includes the School of Deliverance in New York. The School trains ministers, groups and individuals all over the world. Before her call into full-time ministry, Pauline Walley, who holds a Masters degree in Journalism, was one of the few women in Sports Journalism. Dr. Pauline holds her PhD in Pulpit Communications and Expository Preaching.